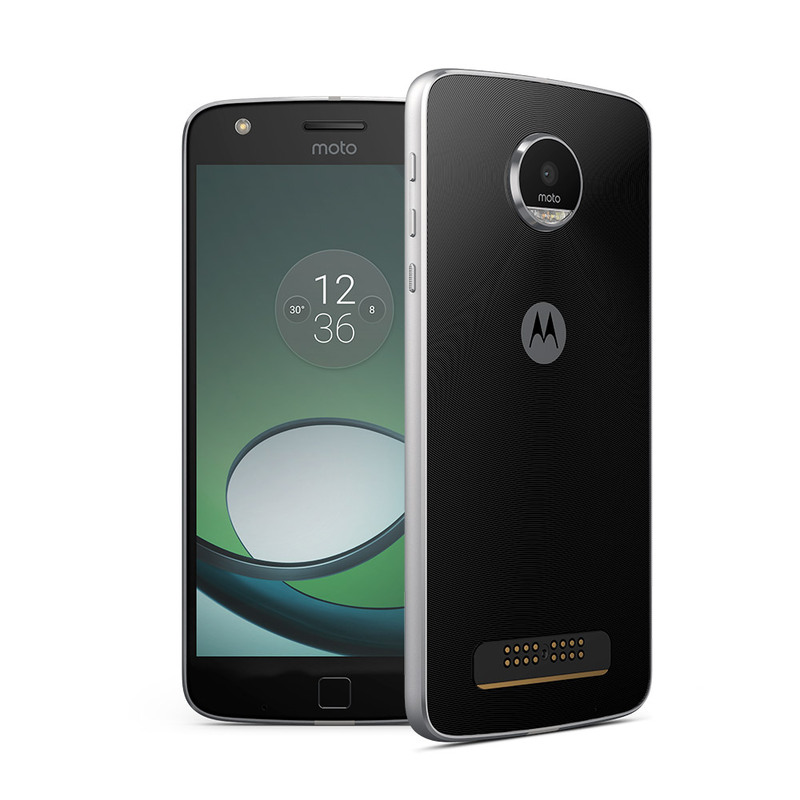 Lenovo's sub brand Motorola launched it's two very unique phones last month that are Moto Z and Moto Z play. These phones are based on a new concept of Moto mod which can attach to these phones and increase their functionality. 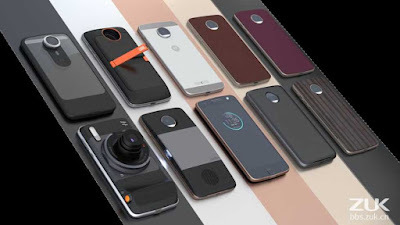 These devices have some magnetic type material at their backs at which these Moto mod get attached. This concept is just like the LG G5 which has the same concept of attaching different modules to the phone and increase their functionality. These Moto mod can enhance phone's battery life, camera quality, sound and much more. 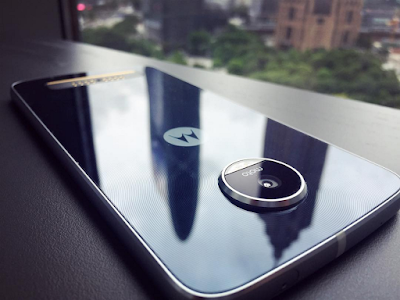 But today I will discuss about only one of the devices that is Moto Z play. Moto Z play is the lower end version of Moto Z. Moto Z offers all flagship features while Moto z play is on the mid range side. 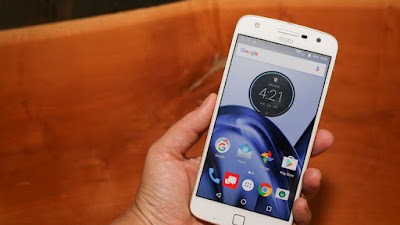 Motorola priced Moto Z play at 25000 INR in India. So let's check out whether it is a good buy at this price. Motorola is known for it's built quality as all of us know. This time also Moto z play is a very well built phone. It really feels solid in hand. It has a metal and glass design. It has glass at back protected by gorilla glass 4 and metal at chasses. The glass at back looks really good and give it a very premium feel. The phone actually looks really premium, it looks like a flagship designed phone. On top it has sim tray and secondary noise cancellation﻿. On bottom it has USB type C port and 3.5 mm headphone jack. On right side it has volume rocker keys and power on/off button, very weird placement for these buttons. On left it has nothing. On back it has rear camera and Moto branding. On front it has earpiece and fingerprint sensor. This is the physical overview of this device. Moto Z play has a 5.5 inch Super AMOLED display having full HD resolution. The display is actually very good on this phone. There is no yellow color tint on its display. We can say the display is as good as on the Samsung devices. The viewing angles are also very good on this device. The colors are really good. The brightness levels are also very good. The screen is also easily visible in direct sunlight. So sunlight visibility is also good. Primary: Moto Z play is equipped with 16MP rear camera with an aperture of f/2.0. It has phase detection and laser autofocus with dual LED (dual tone) flash. The quality of pictures taken with Moto z play in natural lightening is really good. There is lot of detail in the images. The color accuracy is also good. The saturation levels are also good. The dynamic range is also good. But you have to be very careful with the macro shoots, because sometimes the objects in macro shoots are locked very well but sometimes the pictures come blurry due to not proper locking. The bouquet effect is also not so good as compared to the other phones in this price range. In low lightening and artificial lightening the pictures are decent, but we have to be extra careful because it skips Optical image stabilization so sometimes the pictures come out be blurry. There is also some noise in the pictures taken in extra low lightening conditions. It's camera performance is just average not some extra ordinary. It's just like other smartphones whose natural lightening conditions is good but in low lightening they don't perform so well. Mostly every smartphone in this price range faces the same problem. Secondary: Moto Z play is equipped with 5MP secondary camera with f/2.2 aperture. The secondary camera also performs well. The selfies come out to be really good in natural as well as artificial lightening conditions. It's has a wide angle lens which can take vision of 85 degrees, so two persons easily fits in it's front camera. Moto Z Play is equipped with 3510 meh non removable battery. The battery life of this device is outstanding. It can easily give screen on time of about 7-8 hours which is very good for a mid range device. It's battery can last up for 1.5 days easily with some amount of juice (about 25%) still left. So battery life of this device is nothing short of excellent. This device also supports fast charging and comes with a turbo charger in the box. I think the battery life can be one of the main aspects of buying this smartphone. Moto Z play comes with Qualcomm snapdragon 625 processor. The performance of this smartphone is really good. There is no lag while using this device. The processor performs all day to day tasks without any issues. Multitasking is also good on this device. I don't face any problems in jumping between different apps and multitasking. All things go buttery smooth. 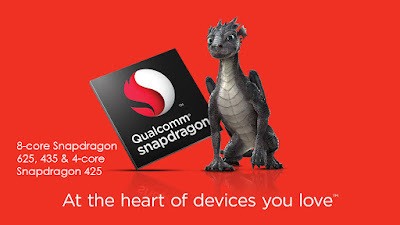 This device is really snappy. Snapdragon 625 comes with Adreno 506 GPU. So it also handles all graphic intensive takes without any issues. The gaming performance is also very nice on this device. It plays all the heavy games such as asphalt 8, nova 3, implosion etc. without any issues. There is no lag or frame drops while playing these games. There is no heating issues while playing all these games. Graphic rendering is also done very well on this device. So there is no problem in processing of this device. Moto Z play has a front facing speaker which also doubles as a earpiece. The speaker is not that much loud. While playing media or doing any other stuff the speaker is just okay it is not that much good. While making calls through speaker, sometimes it is not adequately loud. So the sound output is just average on this device. Cellular call quality is pretty good on this device. The network reception is really good on this device. There is no problem while making or receiving calls. If we are making calls with earpiece then it is good but when we are using speaker the sound output is not that much great as I have already said. So it is advice able to use earpiece while calling. User interface of this device is really good. It is very close to stock android. It doesn't come with any bloatware. The whole experience is really good. There is no lag in the interface. It feels that you are using a Google nexus device as it's interface is very close to stock android. Also the optimization between the software and the hardware is done very well. The device is really snappy. The main feature of this device is that it is compatible the Moto mode which can be attached to the device to increase there functionality. There are various Moto mods available in the market but you have to actually buy it separately. They don't come bundled with the phone. 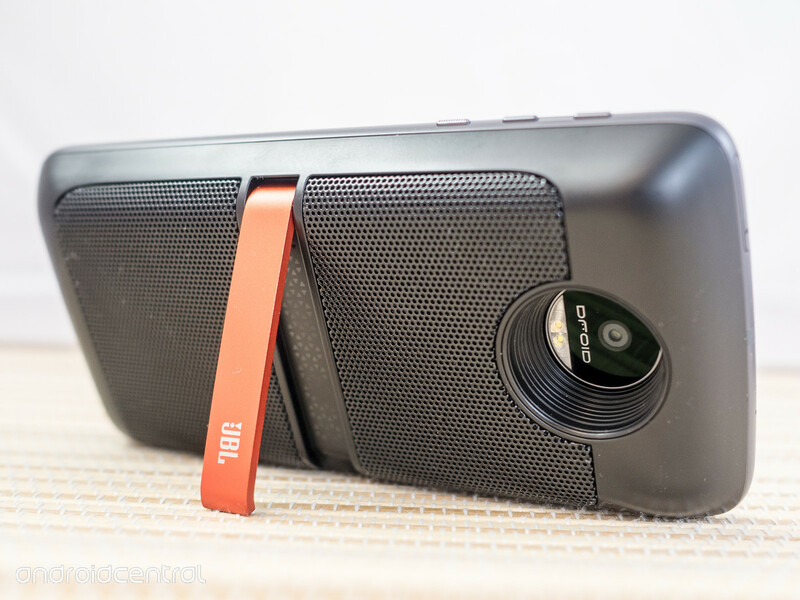 There are many Moto mods such as camera, sound enhancer, battery pack, projector and various back covers. All these can attach to the phone's back at the specified place. Sound enhancer mod is made by JBL and is used to enhance the device sound to a great value. Camera mod is made by Hasselblad and this helps the device to give a DSLR feel where you can zoom to a very great extent. It comes Moto's self made projector mod which can be used to project the device's screen on the wall. But the projected screen is not very bright. Now the last one is battery mod which enhances the battery life of the device. It simply fits at the back and can be used as a simple battery. The battery amount which it provide is 2000mah. Moto also designed various back covers for the device which also fit like all these mods. All discussed mods above are really compact they are of the same size of phone and easily fits in pocket. One drawback here is that these mods add extra weight to the device and also increase the thickness of the device. Also we can use multiple mods at a time, we can only use one mod at a time. These mods can be purchased online. These mods are really expensive which adds extra cost to our budget. Pricing of different mods are listed below. Moto Z play is very good device which is priced very well at 25000 INR. 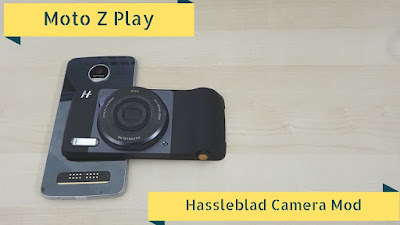 It has a very good design, great built quality, stock android like user interface, excellent battery life, a bright display but some shortcomings too such as bad speaker, average camera﻿ and expensive Moto mods. So it totally depends upon you that you want to buy this device or not. You can also consider other smartphones such as one plus 3 and xiaomi mi 5. 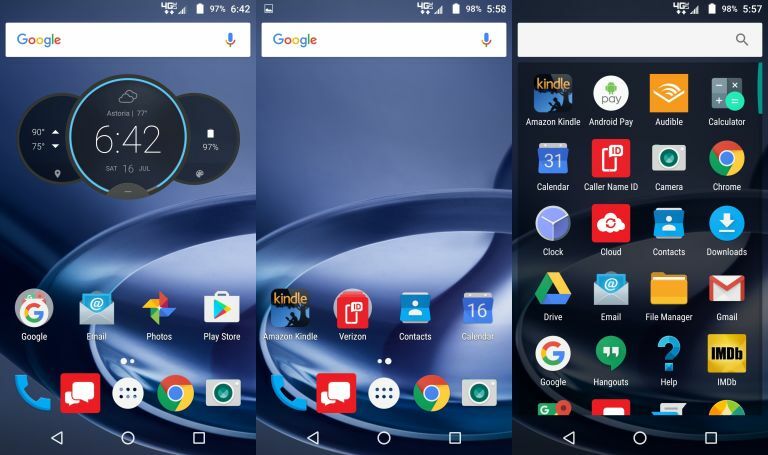 One plus 3 is a better device than Moto z play. It got all things better than this except some such as battery life and premium build and design. But you have to spend extra 3000 INR for buying the one plus 3. And you won't get these mod functionality in it. So both the smartphones are good but it totally depend upon your choice what function you want in your device. For one plus 3 review you can check my previous reviews.